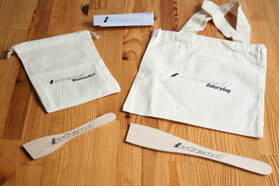 Intend HERO - Crowdfunding - cornelius-kapfingers Webseite! The new leightweight upsidedown trailfork - the perfect match for your every day ride. 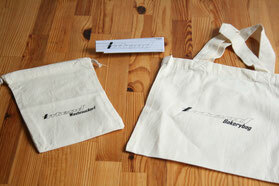 Made in Germany, made by Intend. Normal orders after this time are possible, but without "benefit". A new product, new challenges, news customers. And you can be one of them - with this crowdfunding campaign ! The second reason is to have planning security for the first batch of production. It is also usual to give a small benefit for the first customers, because they get in with some small risk - in this case you get an Intend Stem FOR FREE, this is about 9% benefit. You do not have to pay the complete amount of money in the beginning. I take a deposit of 799 Euro. The rest before shipping. Like the other forks, it will will need around 3 month to get everything done. I plan to get it ready during december 2018. 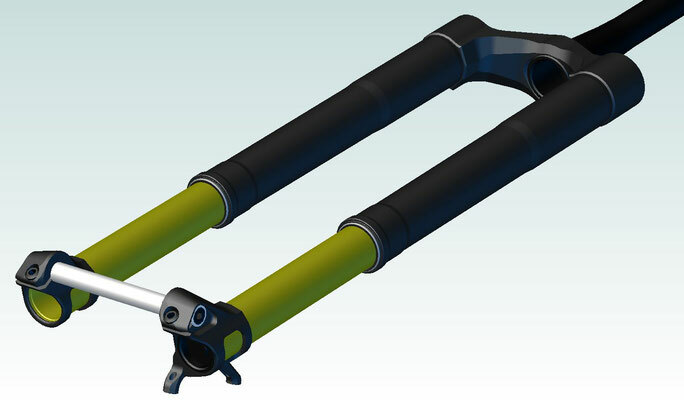 The new Intend Hero fork is a step back to the roots of the Intend forks. 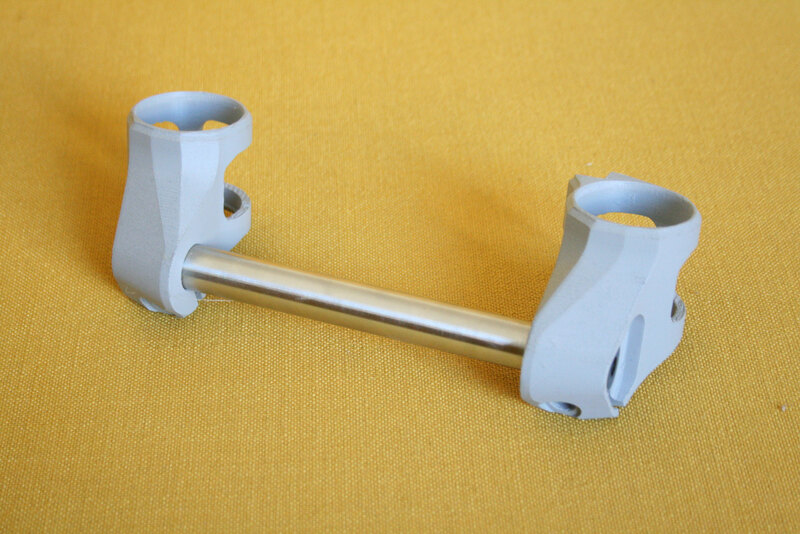 The first Intend fork weighs about 1800g. Through the years the Edge fork raises up to 1900g and 1950g for the 29" version, and then up to 2000 and 2050g for the boost version - stiffer and stronger step by step. The bikes and riders needed stronger and stiffer forks, because the sales of downhill bikes are getting lower and lower and everbody is going to the bikepark with his enduro bike. Also the Edge fork followed this way. More weight, more stiffness, more durability. But for some of you this fork became to much. To much weight, to much travel, to much of everything. That's why the idea of the HERO fork was born. A lightweight and beautiful trailfork with an adjustable (internally) travel up to max. 150mm. It should fit to your all-mountain, trail or marathon-bike and your already existing 110x15 boost hub as well as your 180mm disc, without adapters for the axle and brake-caliper. 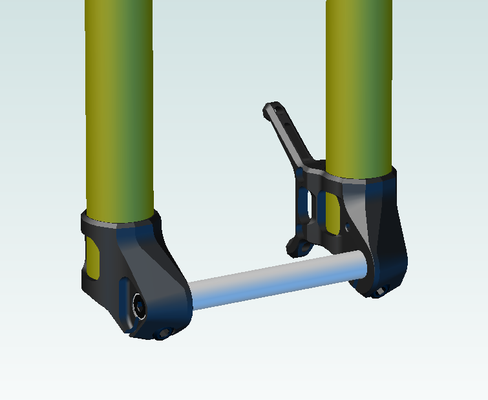 Note: If there are enough potential Predictive-Steering hub rider out there with existing hubs in their wheelset, then I will make a "PS-ready" brakemount in 180mm as well. 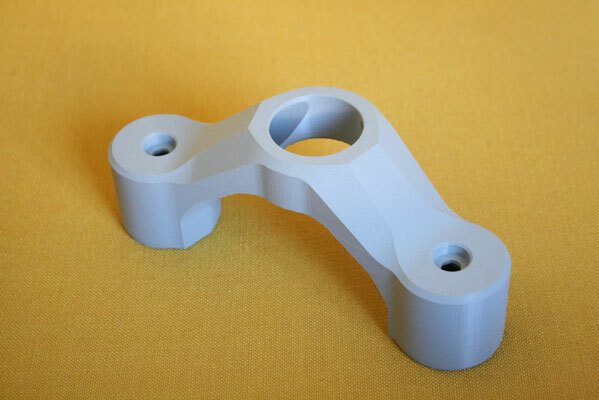 This hubs of course stiffens up the fork and this would be a perfect combination with the light aluminium axle. Please contact me in this concern! 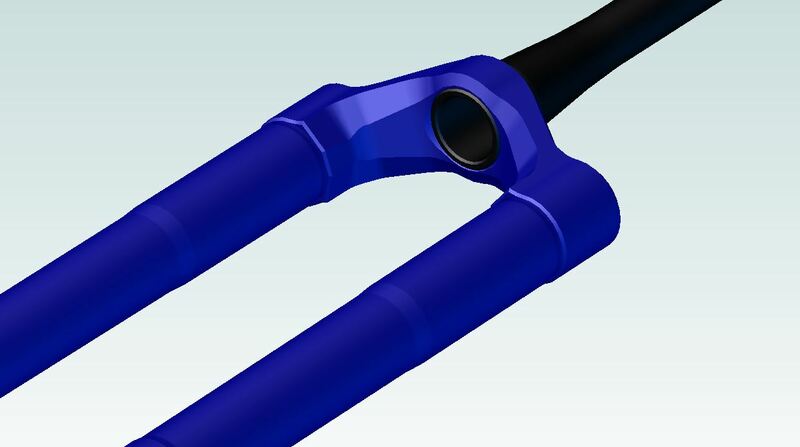 This culminates in well designed parts of the fork like the crown. The Hero crown saves around 30g compared to the first crown of the SC166 with even more stiffness and of course an updated design with the typical Intend form language. The crown has hollow arms and huge outer dimensions and NO milling pockets in the outer surface to maximize stiffness and strength. Upsidedown makes one thing possible: To keep the bike and the wheelbase consistent. 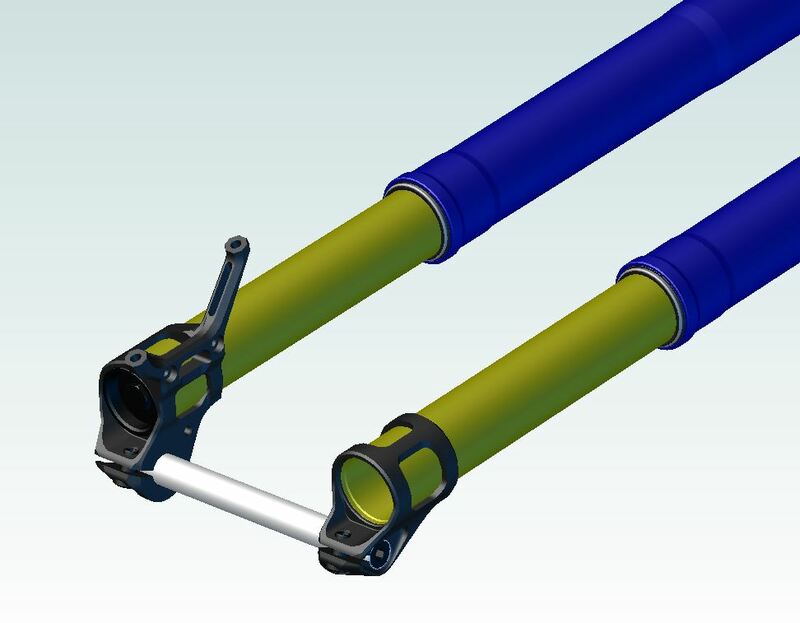 Minimized flex fore-aft for better highspeed- and brakecontrol and also on steep steps the fork will not bend too much and this reduces the risk of going over the bars. Also of course superb lubrication of the bushings - everytime. Also after the whole winter in your garage, the fork will work smooth. 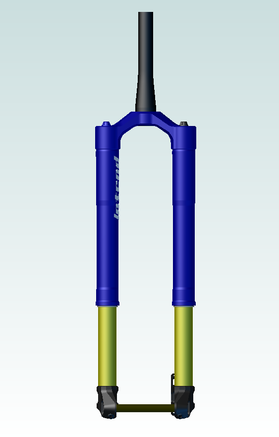 How can you make sure, that the lightweight Hero fork is stiff enough? After my experience with several kinds of fork iterations, I know really exactly where to put the wallthickness to increase stiffness with the lowest weight. The upper legs are conical on the inside and the outside, the axle is made out of steel. 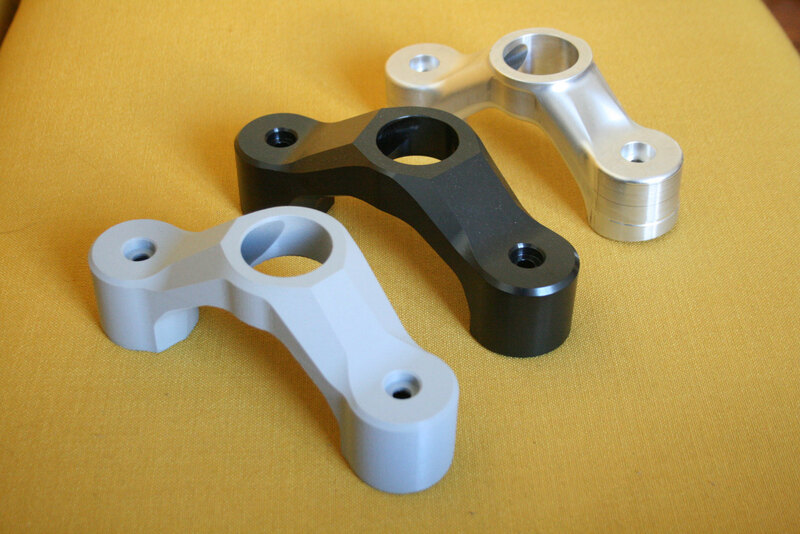 This increases the axle-stiffness around 30% compared to a aluminiumaxle with the same weight. And there is another advantage of the Hero fork: With the limited travel of 150mm instead of the almost 180mm of the Edge-fork, I can achieve a 30mm longer bushing distance with now around 200mm. This is a lot - e.g. 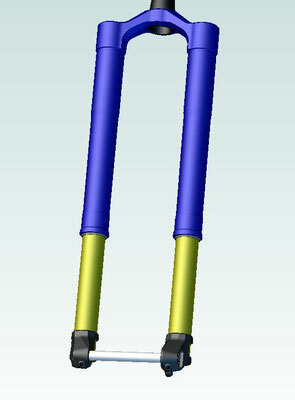 a RS pike 27,5" fork has around 115mm bushing distance. 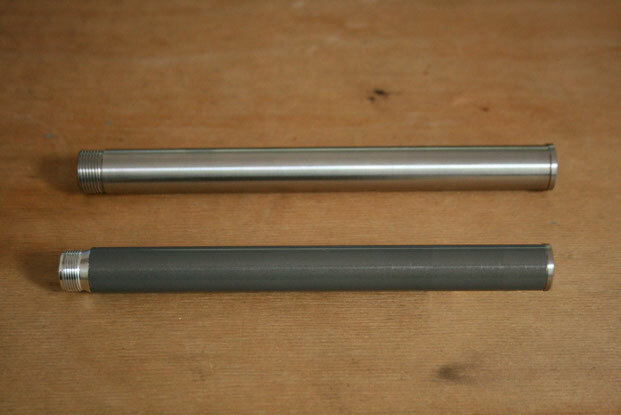 But not to forget the weightweenies, I offer a lightweight alternative axle made out of high-strength and extrem hardcoated piston-rod aluminum. This axle saves around 28g to the steel axle and of course will be less stiff - but you can choose ! 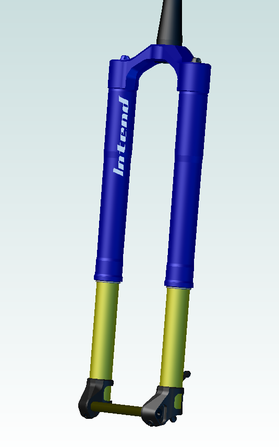 The Intend Hero fork is not a new delevopment. The internal parts are exactly the same like the one used in the Edge and Infinity forks. Same technique of the air spring system, the seals, the damping system and of course the same high-quality damping setup. 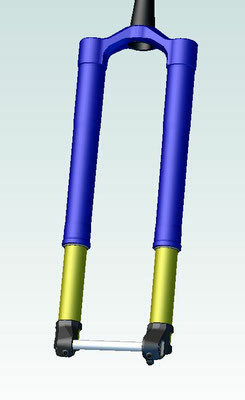 There is no "cheaper version" of the damper because "low travel forks does not need good damping". Of course they need. You should not lower your requirements of control and riding fun with lower travel. My opinion: for a fork, which is not for cross country racing purpose, you do not need any lockout. If you ride uphill sitting in your saddle there is no extrem movement of the fork anyway. If you ride uphill out of the saddle there will be a movement - but honestly: how long do you race uphill like this? about 1 minute? 30 seconds? The total energy loss due to a not locked fork is extremely low. So the Hero fork does not have a lockout! You can't forget to open it, no parts which can have a failure. Just simple, long lasting technique. Same damping and air spring - no change here! - max wheel diameter: 770mm, there is 4mm space left in this case! 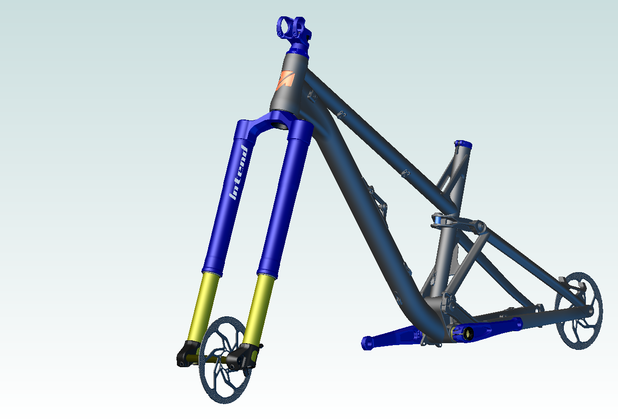 The price of a Intend Hero fork is 1799 Euro. incl german VAT. If you live out of the European Union, you do not have to pay the german VAT to me. 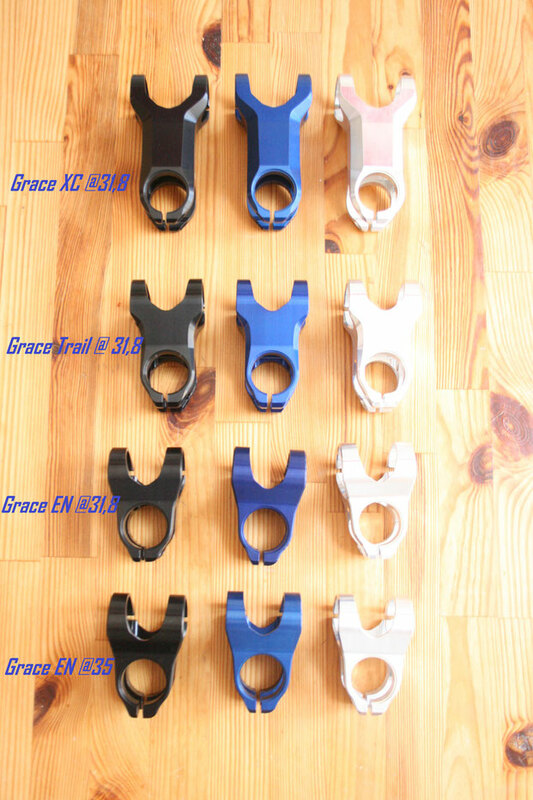 In this crowdfunding campaign you get an Intend stem for free - Intend Grace EN (D31,8 or D35mm), Trail (D31,8 or D35mm - not yet on the picture below) or XC (D31,8mm). Shipping in Germany included. Not german countries + 3 Euro. 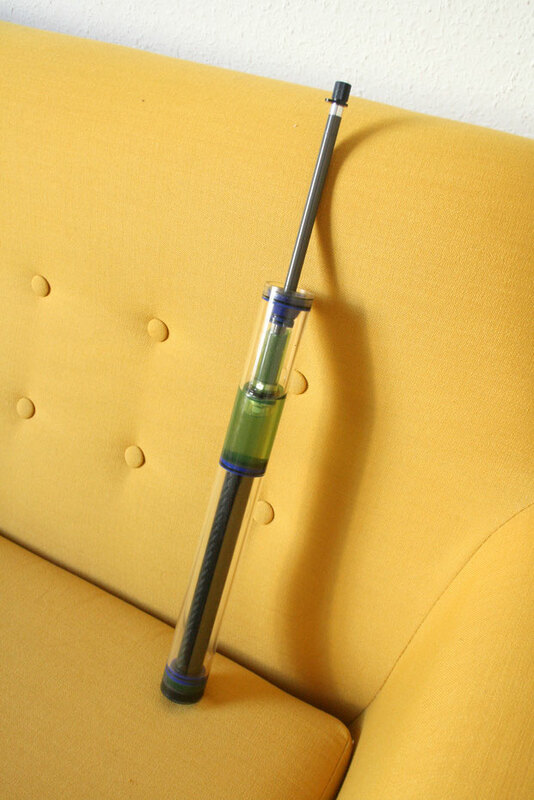 One Intend stem of your choice included!